They're great for casual Fridays! Jeans are a reliable, round-the-clock closet piece. They're comfortable enough to be worn from day to night and versatile enough to be dressed up or down. But how exactly can you put a modern spin to your favorite pair of jeans to make them look less casual? Below, we zero in on some of the most common jean styles—plus, a few shopping suggestions on how you can elevate your own pairs! Who says denim can't work for officewear? Trust us and this winning silhouette: pronounced shoulders, cinched waist, and wide-leg denim jeans. 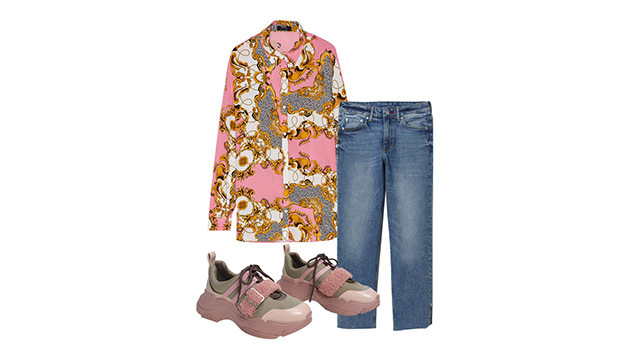 Consider this your perfect casual Friday look: printed top, cropped jeans, and some colorful kicks! 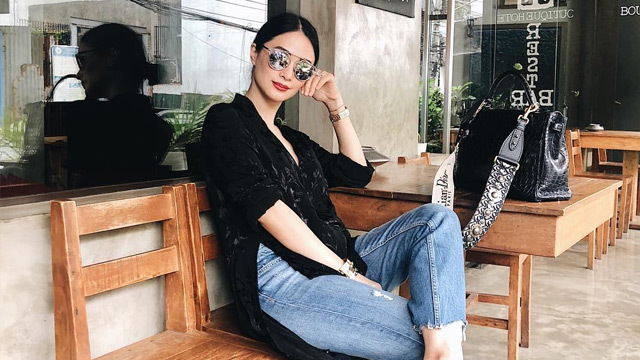 Ripped jeans run the risk of looking too casual. Strike a balance by pairing your distressed pants with a dressy top and some fancy footwear. Acid wash jeans, because of their super light color, tend to look washed out. Ride on this color scheme and pick cool, refreshing colors for a cohesive look. 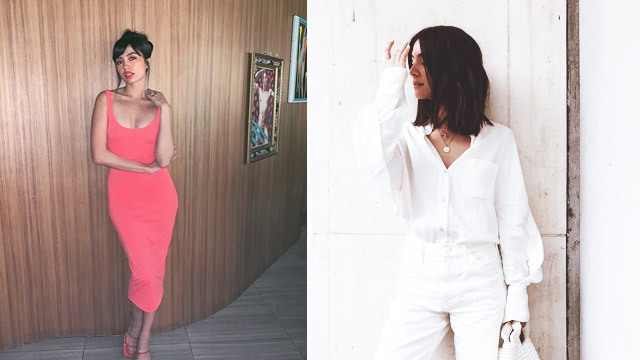 Colored jeans are officially back on trend, and here's how you can wear them in your creative office this summer: Warm-hued pairs are perfect with a white, crisp button-down, a fun hat, and a pair of neutral-hued sneakers. If your office dress code does not permit sneakers, you can swap them out with a pair of sandals. Flared jeans help you accentuate your best assets and at the same time, elongate your figure. To utilize this jean cut, style it with a chunky sweater (for cool days) or a simple printed blouse, and complete your look with kitten-heeled mules. Skinny jeans hug your body's natural silhouette, making them your go-to pair for a dress-over-pants look. Here's another way to take advantage of your high-waisted pair of mom jeans. Team it with a denim top with the same wash and pull off the denim-on-denim look seamlessly.